For the first time I’m savouring “fine, organic and fair”chocolate from Ghana. | WHY DO WE LOVE CHOCOLATE? ← The Premium Chocolate Movement: The treat of centralisation. For the first time I’m savouring “fine, organic and fair”chocolate from Ghana. Thanks to a special friend: Sepp Schoenbachler. Felchlin has processed cacao from Ghana, West Africa for many years. 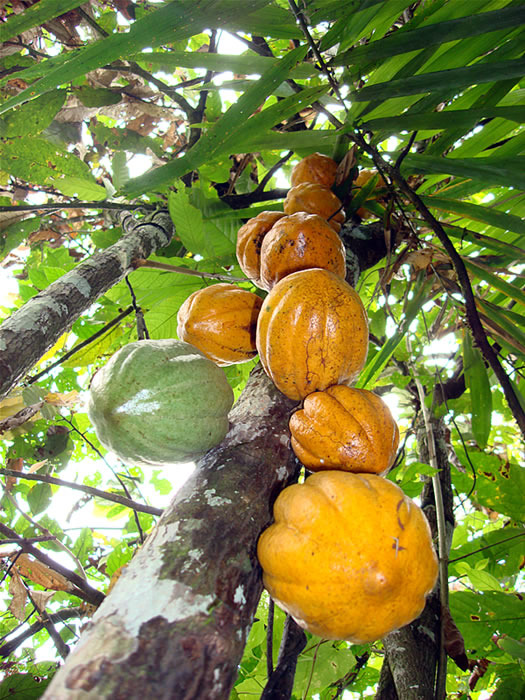 Until recently, it was impossible to acquire the cacao beans directly from the producers. The project Yayra Glover has enabled us to eliminate this problem and allow us to guarantee the origin of our cacao beans from Ghana, therby specifying traceability to the origin. was thereby broken, and the valuable beans found their way to Africa. and is therefore of enormous importance. this with the active support of Swiss agronomists. customers, of course with the support and approval of the Cocoa Board. lies on the southern edge of a large forest area, 60 km north-west of the capital city Accra. relatively hilly, with flat valleys intersected by rivers and streams. Yayra Glover, a Ghanaian with strong ties to Switzerland, is the founder of the project “Suhum Cacao”. He studied and worked in Switzerland for many years and his family still lives here. His vision is to cultivate cacao in the Suhum-Kraboa-Coaltar district under the organic and Fairtrade certification labels. In this way, he hopes to support his countrymen by producing a premium quality cacao that would secure their future financial existence. The cacao cultivation incorporates an area of approximately 6’500 ha, which involves around 2’600 small cacao farmers. After long negotiations, Yayra Glover convinced the Ghana Cacao Board of his project. His efforts have born fruit and he is the first, except for the Ghana government, who is authorised by the Cacao Board to sell cacao from the Suhum district to Felchlin Switzerland. The cacao beans from Ghana are primarly blended with other cacao beans and used in Felchlin Switzerland Surfine and Classic couvertures. Cru Suhum 40% flavour profile: the balanced cacao flavour leads to a harmonius play of fresh milk with a nuance of caramel. The finish begins with a pleasant malt note to be completed with a mild marzipan flavour. Cru Suhum 60% flavour profile: the aroma experience of Cru Suhum couverture is distinguished by a harmonius cacao flavour enrobing the strong coffee note. The slow, traditional processing method allows the fruity, sweet pineapple flavour to develop. The finish is complimented through a nuance of dried pear encased in a sustained black tea flavour.